1970 Dodge Challenger R/T Hemi convertible. Photos by David Newhardt, courtesy Mecum Auctions, unless otherwise noted. The E-body Dodge Challenger debuted in the fall of 1969 as a 1970 model. Both hardtop and convertible versions were offered in a variety of trims, and with eight different engine choices, there was a Challenger for almost every expectation and budget. 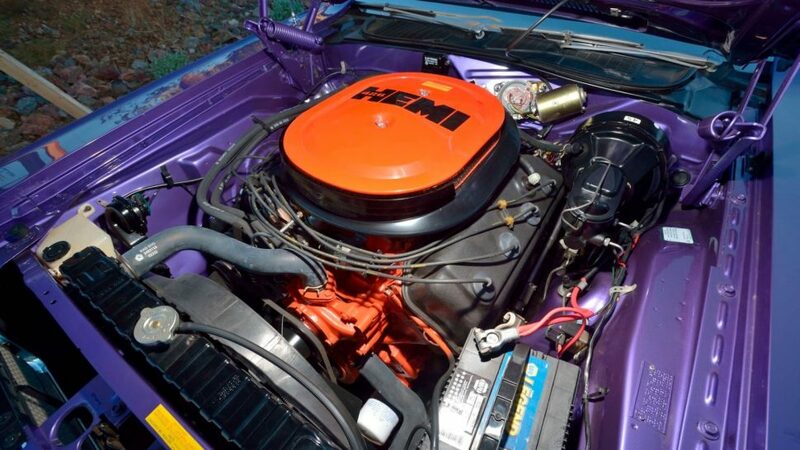 The rarest (and most expensive) model of all was the 426 Street Hemi-powered R/T convertible, of which just 12 were built. 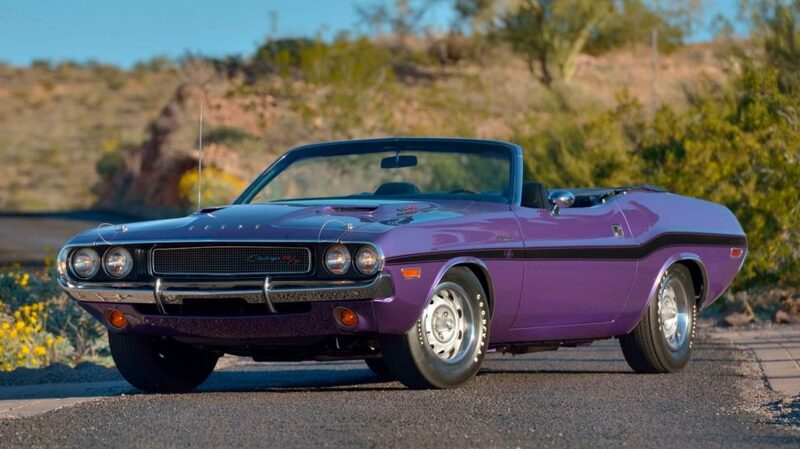 Of these dozen cars, five had four-speed manual transmissions, including the 1970 Dodge Hemi Challenger R/T convertible that sold at Mecum’s Phoenix, Arizona, auction on Saturday, reaching a fee-inclusive $1.43 million to claim the number one spot on the sale’s top-10 list. The 1970 Dodge Challenger sported aggressive low-and-wide styling to emphasize its muscular potential, and even slant six-powered variants looked fast. Buyers wishing to back this stance up with real-world performance could choose from V-8 engines that ranged in output from 230 horsepower (from the 318-cu.in. V-8) to 390 horsepower (from the 440-cu.in. V-8, topped by the “Six-Pack” of three two-barrel carburetors). Beyond this, one more choice remained for drivers caring more about performance than day-to-day liveability: The 426 Hemi V-8, which was rated at 425 horsepower and 490 pound-feet of torque. The 426 Hemi option box was generally ticked off by those who sought thrills in quarter-mile increments. Buyers wishing to drag race their Challenger wouldn’t have opted for the 110-pound-heavier convertible, explaining why just a dozen such cars were built. 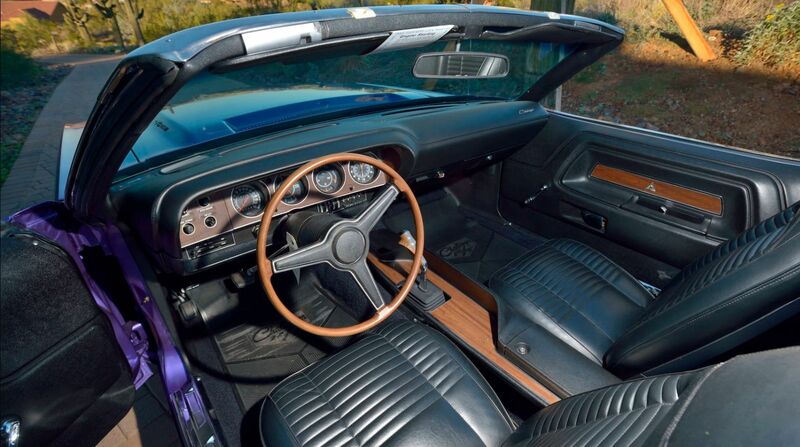 Even the R/T package, which came only with one of the four highest-output engine choices, the Rallye instrument cluster, and heavy-duty suspension, was only offered on convertible models for the 1970 model year due to the low take rate. While the hardtop was more about performance than image, the convertible was about being seen, something that didn’t require the largest engine or stiffest suspension. The car sold in Phoenix was delivered with the A34 Super Track Pack option, which included a Dana 60 Sure-Grip differential with 4.10:1 gearing, a dual-breaker distributor, heavy-duty cooling, and power disc brakes. Its early story is unknown, but its more recent years have been spent in collections capable of buying the rarest in Mopar muscle cars. 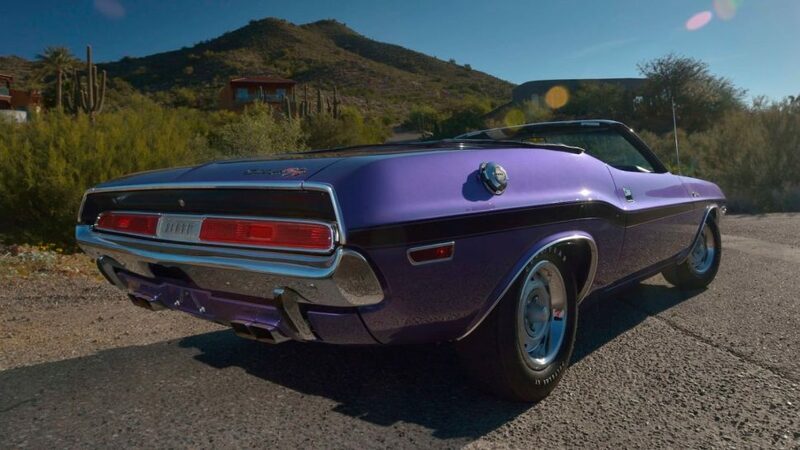 Recently restored, the Challenger carries much of its original sheetmetal, a period-correct warranty-replacement Hemi, copies of past registrations and magazine articles documenting its history, and an inspection report from Mopar specialist David Wise. With only four other comparable four-speed Hemi R/T convertibles in existence, the car’s rarity clearly determined its selling price. 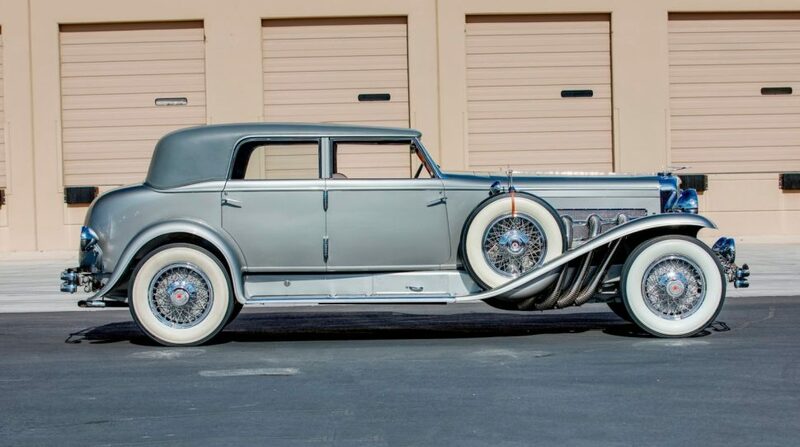 1932 Duesenberg Model J Rollston Torpedo Berline. Photo courtesy Mecum Auctions. Other lots in the top 10 included a 1932 Duesenberg Model J Rollston Torpedo Berline, which sold for $880,000; a 2011 Ferrari 599 GTO, which sold for $770,000; a 1970 Plymouth Superbird, which sold for $357,500; a 1969 Chevrolet Yenko Camaro, which sold for $231,000; a 1967 Ford Mustang fastback “Eleanor” tribute, which sold for $225,500; a 1969 Ford Mustang Boss 429, which sold for $209,000; a 2009 Rolls-Royce Phantom drophead coupe, which sold for $195,250; a 1962 Chevrolet Corvette, which sold for $187,000; and a 1989 Ferrari Testarossa, which sold for $181,500. 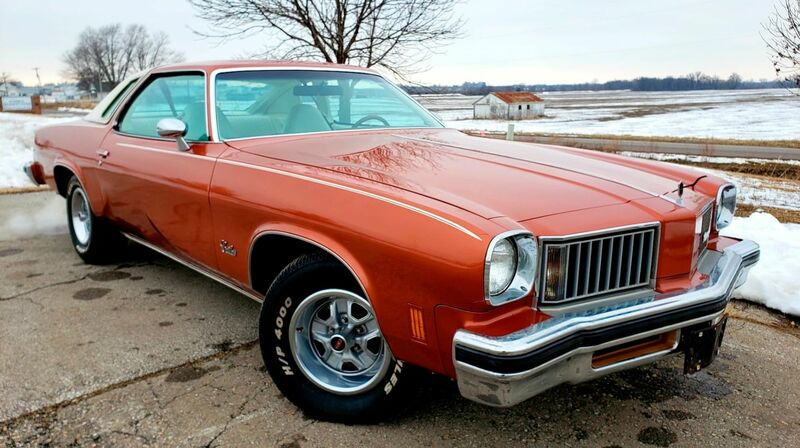 1975 Oldsmobile Cutlass. Photo courtesy Mecum Auctions. More affordable lots of interest included a 1988 Ford Mustang convertible, which sold for $8,250; a 1979 Triumph Spitfire, which sold for $4,400; a 1975 MG B, which sold for $4,950; a 1956 Willys Jeep, which sold for $9,900; a 1974 Ford Gran Torino Elite, which sold for $5,500; a 1952 Studebaker Champion, which sold for $6,875; a 1977 Ford F100 pickup, which sold for $8,800; a 1978 Fiat 124 Spider, which sold for $7,150; a 1975 Oldsmobile Cutlass, which sold for $6,875; a 1956 Dodge D3 pickup, which sold for $6,600; a 1971 Volkswagen Beetle, which sold for $8,250; and a 1963 Chevrolet Corvair Monza coupe, which sold for $7,150. For complete results from Phoenix, visit Mecum.com.